Before the actual moves, let us discuss the ideas in this position. Black has material advantage, so the only choice White has is to create real threats. Now that we know that it is not about the material, we should start focusing on the Black's weak King. What are the possibilities of creating mating threats? 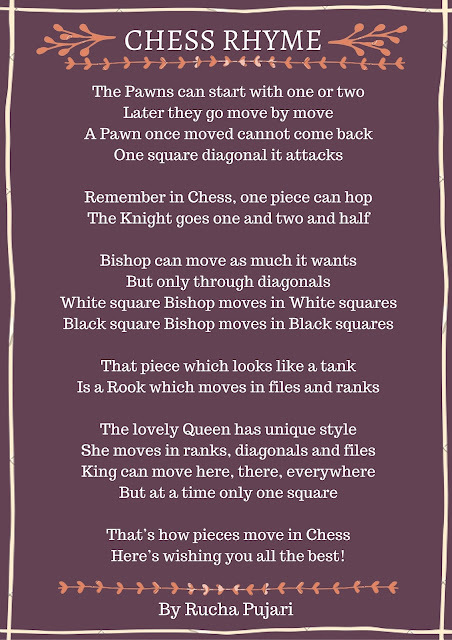 White has Queen, Bishop and pawns. We should consider the pawn on d7 as a potential piece. And now the hint. We often forget to consider the King as an attacking piece. But first things first. Right now Black is threatening to give a deadly check on the back rank. So what is the typical move that we make to save the back rank? Yes, you are right! 1. h3+ Kh4 If the Black King moves on the f-file, white takes Bxb2+ and has a winning advantage. 2.Be5!! An amazing move, White is planning to bring the King to h2 on the next move. This King move will create two mating threats: Pawn g3 and Bg3. White wants to explore the potential of King as an attacking piece. 2... e2+ The best defense for Black. True, Black has other choices like Ra1+ and promoting the b-pawn, but let us analyse the best defense. Because I believe that after you understand White's winning idea, you can answer all the other variations! 3. Kh2 Qg1+ Black wants to defend against the mating threats, by giving away his material. White is forced to bring back his King from the attack. Did you see Black's defensive idea yet? 4. Kxg1 Ra1+ This move is Black's best try. 4...b1=Q+ 5.Kh2 will be similar to the main line. And 4...e1=Q+ 5.Qf1 Qxf1 6.Kh2!! is the idea. But let's get back to the main line. 5. Kh2 Rh1+ Black sacrifices his second piece to bring White's King back from the attack. 6. Kxh1 e1=Q+ Note that now Black is attacking the White's Bishop on e5. 7.Qf1!! Now, it is White's time to sacrifice! Take some time to calculate it through, if you haven't already. 7...Qxf1+ 8.Kh2 Don't forget that every time White plays Kh2, he threatens mate with either Bg3 or Pawn g3. 8...Qf2 Looks like Black has saved everything for the moment, by defending against White's consistent dual mating threats. 9. d8=Q When it looked like Black was saving the position, White introduces a new Queen on the board! Now, the threat is Qd4+ followed by mate on g3. Can Black do anything about it? 9...Qg1+ Of course, sacrifice some material! Notice that this is the third sacrifice Black gave, just to bring back the White's King from h2. 10.Kxg1 b1=Q+ Another Queen! Black was aiming to reach this position. Because now the only thing Black should do is give away his queen, and then it would be stalemate. For example 11.Kh1 would be answered by 11...Qh1+ and Draw. 11. Qd1!! The point of the study! 11...Qxd1+ Black's only choice is to accept the sacrifice that White has generously offered. 12. Kh2!! +- If you had calculated until this point, Congratulations! So we see that again White's King comes to h2, but this time the checkmate on g3 cannot be avoided.